I am deep into my journey with herbs. As I worked towards becoming a bonafide herbalist, I absolutely love exploring the various resources created by some of the herbalists I admire and trust. There are a lot of valuable resources out there. Some better than others of course. As a sucker for printed literature, I probably have purchased far more books than I need but I always feel like it is better to have the information than to find yourself coming up empty just when you need it. Today I am sharing my ‘short list’ of must-have herbal recipe books. These are the books that I use the most and that I personally find to be the most valuable both in terms of content but also in ease of use. 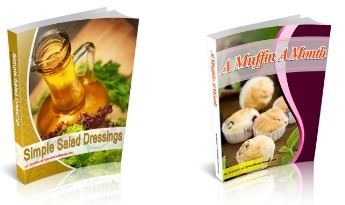 These herbal recipe books are both for cooking food and also herbal remedy making. I hope that you check a few of these out. They might very well become your favorites! Honestly, this is the best herbal reference and recipe book on the planet. The title really says it all. If it isn’t in here, you probably won’t need to make it anyway. The bulk of the book is dedicated to specific herbal remedies for everyone in the family — adults, babies, children, and elders. Whether a reader wants to soothe baby’s diaper rash, enjoy a better night’s sleep, conquer headaches, cure a case of athlete’s foot, or boost a sagging spirit, Gladstar’s time-tested herbal remedies offer new options for natural healing. These therapies are enhanced with an A–Z herbal apothecary featuring detailed information about more than 90 herbs, as well as tips for preparing herbal remedies from scratch. Learn more about this amazing resource here. With over 250 recipes for herbal oils, vinegars, pestos, dressings, salts, cordials, syrups, smoothies and more, The Herbal Kitchen provides the information necessary to prepare, store, and use herbs, and create a long term healthcare plan. The Herbal Kitchen will help you to recognize the extraordinary pharmacy that already exists in your own kitchen–one that will boost immunity, heal sickness, enhance energy, and ensure overall health and vitality, all without the need for fancy equipment or specialty products. I love the simplicity of these recipes as well as the availability of the ingredients used. Learn more about this great book here. This is another book that I would be completely lost without! I first learned about the author, Demetria Clark, when I started my Herbs and Children series. I was really inspired by her back-to-basics approach to herbalism and aromatherapy. She really focuses on keeping things simple which is why I like her recipes so very much! Most everything can be made on the fly provided you have a moderately well stocked herbal pantry. I have found some gems in this book. Check it out here. This is one of those crazy finds that you are initially not to sure about but then it turns out to be a diamond in the rough. While this book doesn’t look like much on the outside, the inside is filled with herbal awesomeness! Basically, it is an anthology of over 500 recipes for herbs as used in home treatment, cooking, and preparation of toiletries from the seventeenth century to the middle of the nineteenth century. Recipes are grouped in four chapters according to herb use and the opening chapter describes herb gardens and methods of preservation. Not only is this a unique look back in time but the recipes are tried and true. This pretty much takes ‘real food’ back to its roots. I couldn’t be more excited to have this in my library. Grab it here while you can. Jerry Traunfeld, the talented chef and author of these two cookbooks, pretty much blows everyone who has ever tried to create a herb focused cookbook completely out of the water. His books inspire me so much that I don’t even think I could do them justice by telling you about them. Yeah – they are that good. Now, his recipes won’t suit every diet and they are not all allergy friendly, but they are uncomplicated and have a lot of wiggle room for ingredient adjustments. The herbal vinegar and honey recipes alone make these books worth owning. You really have no idea how much a few fresh herbs can completely change a recipe. Go get these books folks. You will not regret it. If you are a fan of international cuisine, then this is the book for you! 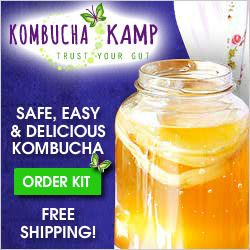 Not only are the recipes SIMPLE but the authors take you on an herbal journey around the globe. This is a great book for beginners while at the same time bringing something new to the kitchen of the more experienced herbal cook. Go get this book! You will be blown away.